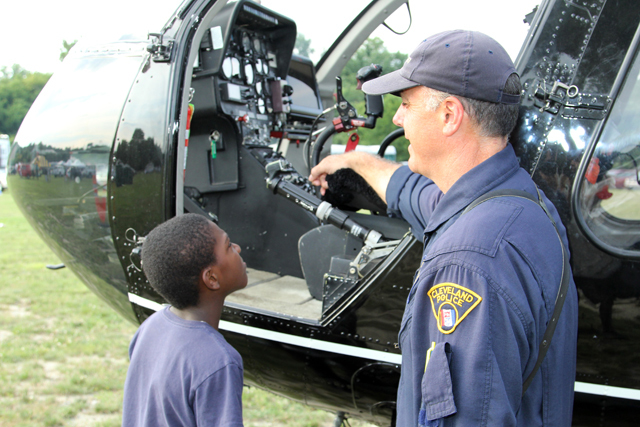 The Cleveland Police helicopter will be on site just as it was last year when this young man was given a tour. For more information, call 216-664-3290. “Night Out Against Crime” events are sponsored by Cleveland Public Power (CPP), City of Cleveland Community Relations Board, Cleveland Airport System and Cleveland Water.